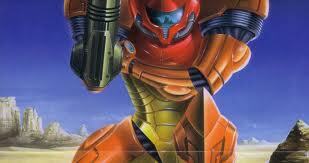 Nintendo of Europe have announced the latest content to be made available through the Wii Shop Channel, Nintendo eShop and Nintendo DSi Shop services, confirming the release of Metroid II: Return of Samus on the Nintendo 3DS’ Virtual Console. The Game Boy’s exclusive chapter in the Metroid series sees Samus Aran on a mission to rid planet SR388 of the Metroid menace. Enjoy new abilities like the Spider Ball, and powerful new weapons like the Plasma Beam, as you eradicate the Metroids once and for all. Howdy, partner, and welcome to Big Town Shoot Out! If you’re a sharp shooter with an itchy trigger finger, you’ve come to the right place. Big Town Shoot Out will take you through 40 increasingly challenging stages, across 10 zones and 10 different game types, all playable by 1-4 players simultaneously. Are you cowboy enough to make it through? Mastermind your escape from Rock City Prison by using the stylus to search for secrets and hidden items in your cell that will help you in your escape. Combine the items you find and utilise them in various ways to make the most of your limited resources. Uncover and solve puzzles to reveal hidden clues and hints as you plot your way out of jail. Will you be this year’s Christmas no.1? Just sing into the Nintendo DSi microphone and enjoy the festive atmosphere. Hit all the right notes and sing in the correct tempo to reach the top of the high score list!